No fewer than 100 Nigerians were deported from Finland today Thursday December 11th after failing to get asylum. According to The News Agency of Nigeria (NAN), the deportees included women, children and whole families. 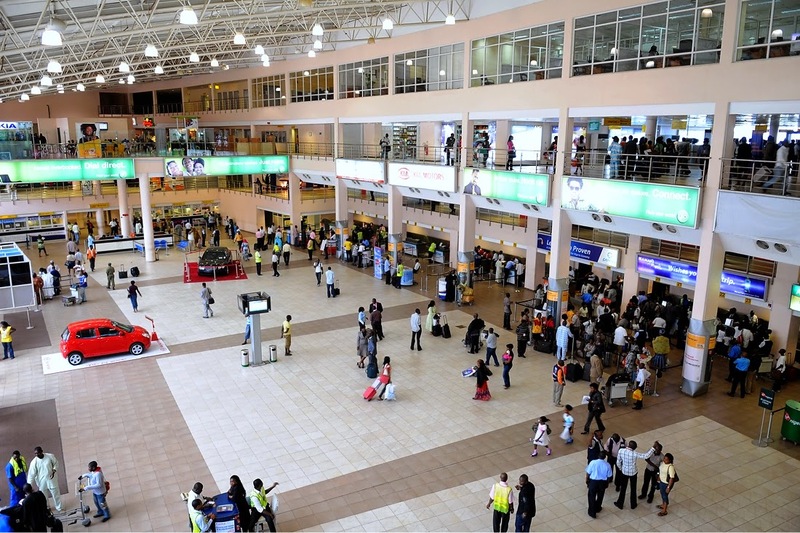 They arrived at the Cargo Terminal of the Murtala Muhammed International Airport (MMIA), Lagos, at 7a.m. aboard cargo airline - Privilege Gourment. A deportee, Mr Isaac Ejiofor, told NAN that he had no criminal records in Finland and wondered why he was deported after spending over one year in the asylum camp. Ejiofor said he was earlier in Greece but later travelled to Finland to seek asylum in a bid to get a permit to work there. "A policeman asked me what I want since I did not have any criminal record to warrant my deportation. I said I wanted to work and live a normal life in Finland, so he (policeman) told me to seek asylum and I did that. I was taken to the asylum camp and was there for more than a year processing my work documents. There were other African nationals there with four Nigerians. Suddenly, we, the Nigerians were brought out and deported without any reason. "The Nigerian Embassy in Finland refused to come to my aid, even after I paid 1,500 euros to embassy officials’’, he alleged. Another deportee, who wanted to be identified as Jackso, alleged that officials of the Nigerian Embassy in Finland colluded with some Finnish immigration officers to extort money from asylum seekers in the camp. Jackso said that the embassy officials promised to assist them to get work permits from the Finnish authority. A female deportee, simply called Esther, said that she and her husband had been in Finland for over 14 years and was surprised that they were deported without committing any offense. Esther said she was deported along with her husband and seven-year old daughter without any compensation. She said that other Africans in the camp were given an opportunity to stay and work in Finland, but that the Finnish authorities were hostile to Nigerians. She appealed to the Federal Government to come to their aid, particularly Nigerians in Finland and other European countries. She said most Nigerians in asylum in Finland came from other parts of Europe like Greece, Denmark, Sweden and Norway in order to acquire work documents. NAN reports that of the deportees, three men were arrested for violence and were taken to the MMIA Police Station. Some others were arrested on arrival by the police for travel offenses and taken by a sheriff bus to the Criminal Investigation Department, Nigerian Police Force, Alagbon Close, Ikoyi, Lagos.